At last week's talk at the National Library, a friend – who's a big comics aficionado – asked who we thought were the 'superheroes and supervillains' of our story. 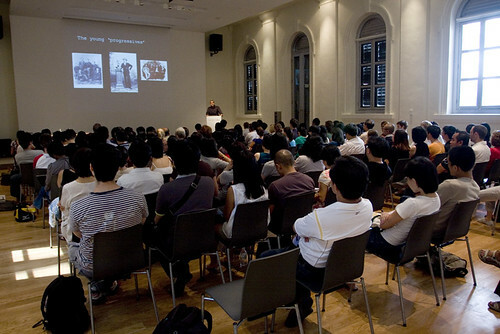 That neatly pre-empted Mark's lecture at the National Museum last Saturday, 'Heroes, villains and ordinary citizens: a short history of Singaporean dissent'. Nothing like having the word 'dissent' in the title to bring out some of Singapore's current dissenters. 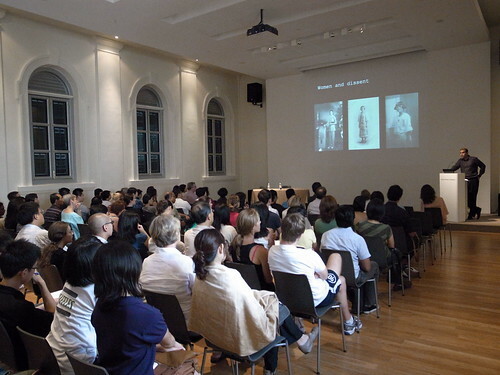 They chimed in avidly during the Q&A session that followed, highlighting further examples of dissenting figures in Singapore's history, as well as questioning different modes of or approaches to dissent (and the relative success thereof). Singaporeans' complaints range from the smell of alien cuisines wafting through their flats, the noise levels and the hanging of clothes along the common corridors. [...] When one Chinese national hung his country's flag outside his flat, netizens blasted him for being culturally insensitive. Of course, a full history of Singaporean dissent would merit a whole other book or two, and as Mark mentioned in his lecture, '[it] would have to answer the question of why repertoires of dissent were not just suppressed, but basically went out of fashion.' Who's itching to write that, now?